Selected as the second overall pick in the 1973 NHL draft, Tom Lysiak led the Atlanta Flames in scoring in each of his first five NHL seasons. In ’73-’74, he finished second to future NHL Hall of Famer Denis Potvin in Calder Cup voting for the league’s top rookie. 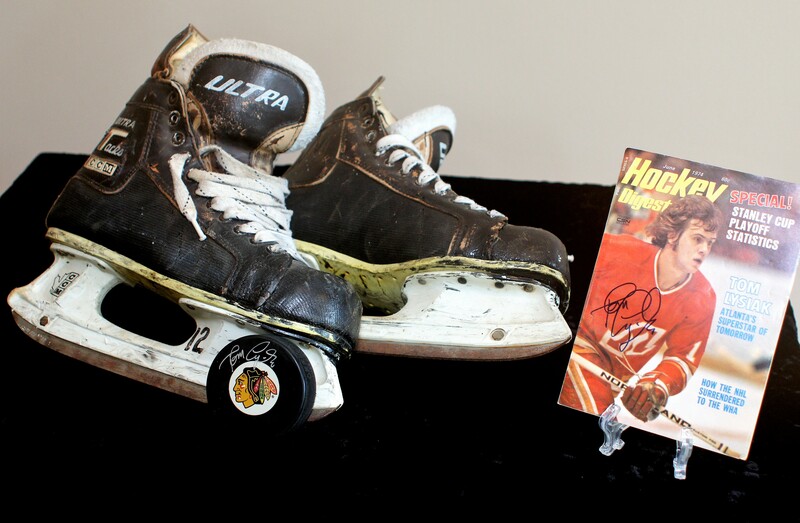 Lysiak starred in the NHL for 13 seasons (1973-1986), six with the Flames and seven with the Chicago Blackhawks. For nine consecutive seasons he scored 20 or more goals, and on three occasions, eclipsed the 30 goal mark. During his career, Lysiak played in 919 NHL games, scoring 843 points on 292 goals and 551 assists. A three-time all-star, he was the Flames all-time leading scorer when he retired. The world Tom Lysiak was raised in was surreal compared to National Hockey League players today. He was born in the small, Northern Alberta town of High Prairie, approximately 175 miles north of Edmonton. He didn’t start skating until he was in third grade, and only then because his school took a field trip to the local rink for public skating. He did not see his first NHL game on television until he was 10 years old in 1963 when his family got its first TV. There had been no need for one before that because there were no local television stations until that time. “Even then, the picture was pretty snowy,” Lysiak recalls. The idea he would become a mainstay in the NHL wasn’t even part of his thought process. Nor that of his family. At first his father, Joe, who had immigrated to Canada from Poland at the age of five, didn’t think much of Lysiak taking up the sport. 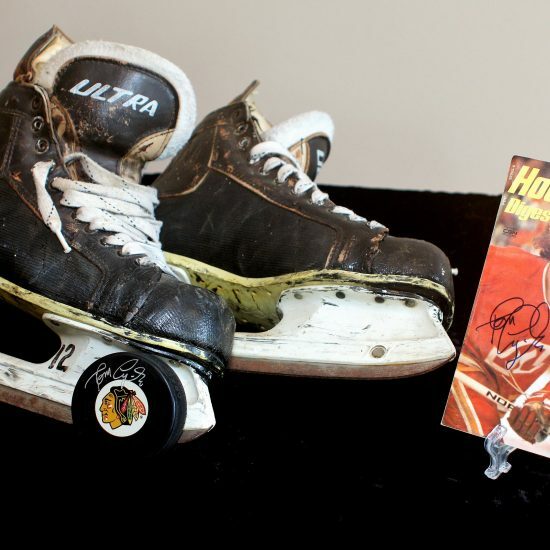 Lysiak took off as a local hockey prodigy, a flight that didn’t end until he had played 14 NHL seasons with the Atlanta Flames and the Chicago Blackhawks. His last two seasons of major junior hockey with the Medicine Hat Tigers, Lysiak had 46 goals and 97 assists for 143 points, and 58 goals and 96 assists for 154 points. His line mate was future NHL great Lanny McDonald. At the time, players were eligible for the NHL Draft at 20, not 18 like currently. Lysiak was the second overall pick in the 1973 NHL Draft by the Atlanta Flames behind only Hockey Hall of Fame defenseman Denis Potvin. Lysiak lived up to his lofty status in the draft. 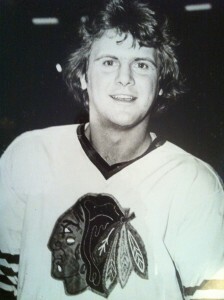 He played in the NHL All Star Game in 1975, 1976 and 1977 for the Flames before being traded to Chicago in 1979. He also served as the Flames’ captain. In 919 NHL games, Lysiak totaled 292 goals and 551 assists for 843 points. He ranks 96th all time among NHL players in points scored per game, and 96th all time in total assists. He is 60th all-time in assists per game. Lysiak has made Atlanta his home since retiring from the NHL in 1986. It was round-about way that led him so far south to play hockey. “It was well-known I was going to be taken second in the draft, but Montreal held the pick because they had traded for it,” Lysiak said. “I didn’t want to play for Montreal because they were so good then; they always sent their first round pick to Halifax (Montreal’s minor league affiliate). So I let it be known I wouldn’t play for Montreal.” (The WHA was in existence then and Lysiak had been courted by the Los Angeles franchise). As entrenched as he became in Atlanta, there were frustrations. The Flames were solid for an expansion team, and made the Stanley Cup playoffs four times while Lysiak was on the squad, but were knocked out in the first round each time. “Most of those series were just three games, and we’d lose the first game, which made it very difficult to come back,” Lysiak said. Lysiak didn’t welcome the trade to Chicago, but adjusted well to coach Bob Pulford’s system, which demanded more back checking. Lysiak played very well in the playoffs for the Blackhawks, averaging roughly a point per game during three relatively deep playoff runs. And Chicago made the playoffs each year Lysiak was on the team. He drew a 20-game suspension from the NHL in 1983 for tripping a linesman. Lysiak felt he deserved some form of punishment, but it was the longest suspension ever rendered by the NHL at the time, and held up as the record for suspensions many years afterward. Lysiak, 59, has remained in the Atlanta area. Married for 30 years, he has run a bed and breakfast, partnered in a construction company and bred horses before selling his farm and taking life a little easier. Lysiak is glad he played when he did. “I like that hockey better than the cycling of the puck they do today, but I suppose I could have adjusted my game for all the money they are getting these days,” he said with a laugh.